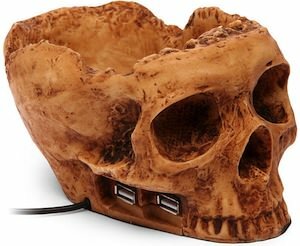 If you need more USB ports for your computer then a fun HUB should do the trick. This footprint hub has 4 ports for you to use and looks fun. 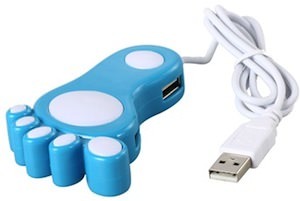 It is a light blue color with white accents and has the USB ports on the side. 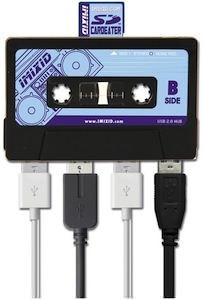 This is a USB 2.0 HUB and that means that you can get great speeds and great device compatibility. 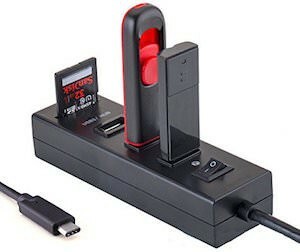 Come check out this fun Footprint 4 Ports USB HUB. 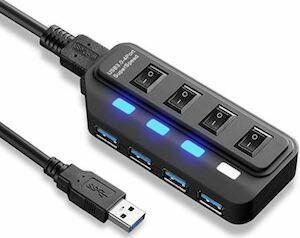 So you are looking for a new USB HUB that can do USB 3.0, you are in luck as we found the perfect product for someone who needs a lot of ports. 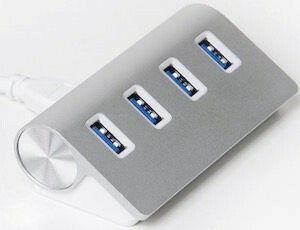 This HUB has 28 ports of witch 4 are USB 3.0 and 24 are USB 2.0 and each of those have their own on and off switch so that you can let your devices plugged in but off when not needed. Now you have the speed you need for devices that need it (like external storage) and 24 others for things like printers and stuff. 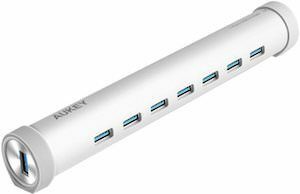 Of course a HUB like this comes with a power adapter to power all those device you are gone plug in. So if you are looking for the perfect HUB then check out this Manhattan 28 ports MondoHub.